Two top TV chefs and restaurateurs will be the stars of the show at this summer’s Ourburystedmunds Food & Drink Festival over the August Bank Holiday weekend. Turning up the heat in the kitchen on Sunday will be Galton Blackiston of the Michelin-starred Morston Hall in North Norfolk, who returns after his popular appearance at last year’s festival. On Monday James Tanner, who has restaurants in Kent and the South West, heads up the menu. Both chefs are well known for their extensive television appearances, with James currently the resident chef on ITV’s Lorraine. 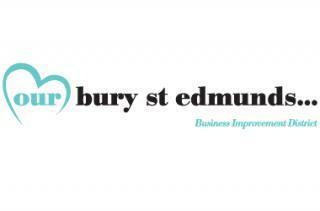 The two-day event, organised by the town centre Business Improvement District (BID) organisation Ourburystedmunds, has been a regular fixture in the town’s foodie calendar for the last four years. Ourburystedmunds Chief Executive Mark Cordell said: “James and Galton are promising to share some of their most delicious secrets so there’s a lot to look forward to in the Aga Rangemaster Theatre Kitchen including all the supporting demonstrations from local chefs throughout the weekend. The Ourburystedmunds Food & Drink Festival will run from Sunday 28th to Monday 29th August and, as well as the shows in the theatre kitchen, it will feature a wide range of local produce stalls and attractions including a farmers’ market.